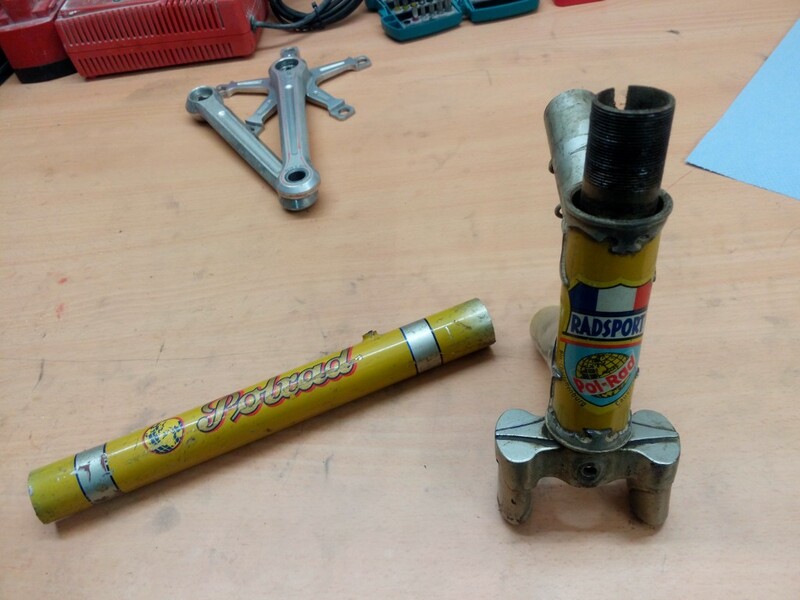 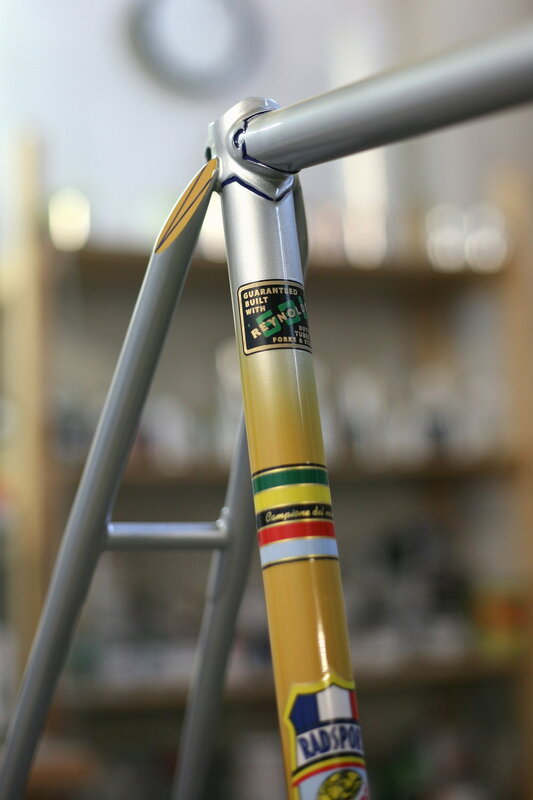 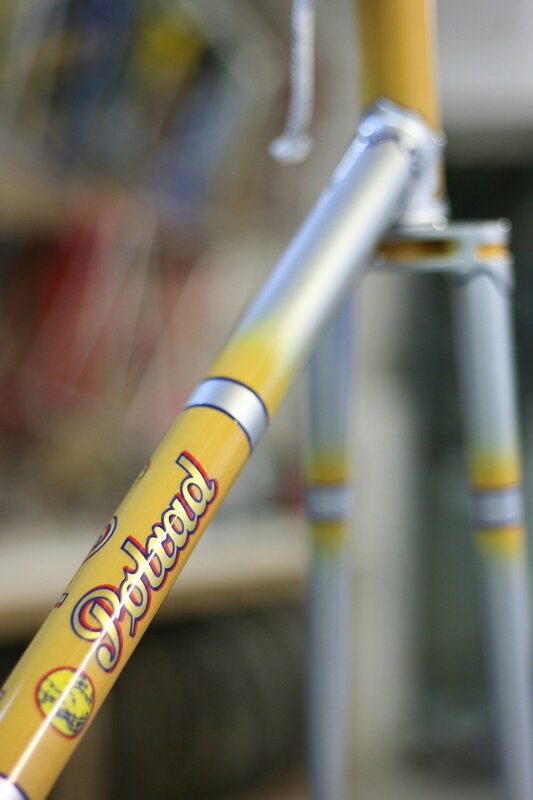 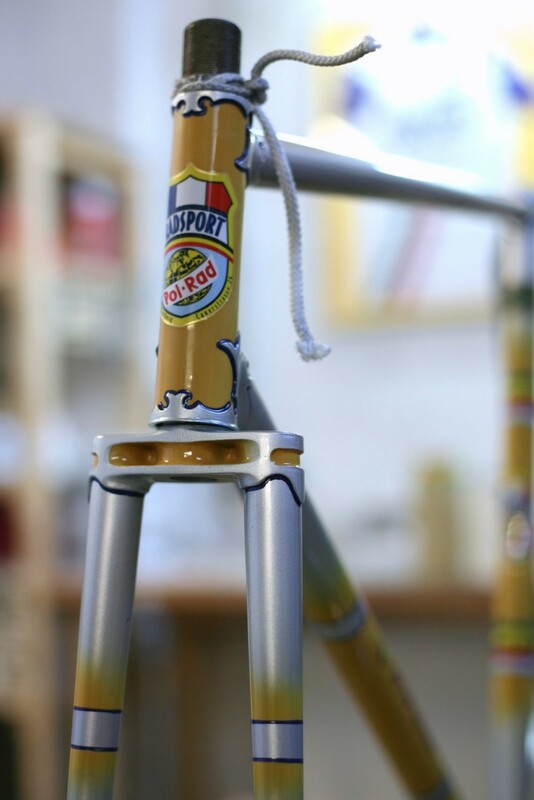 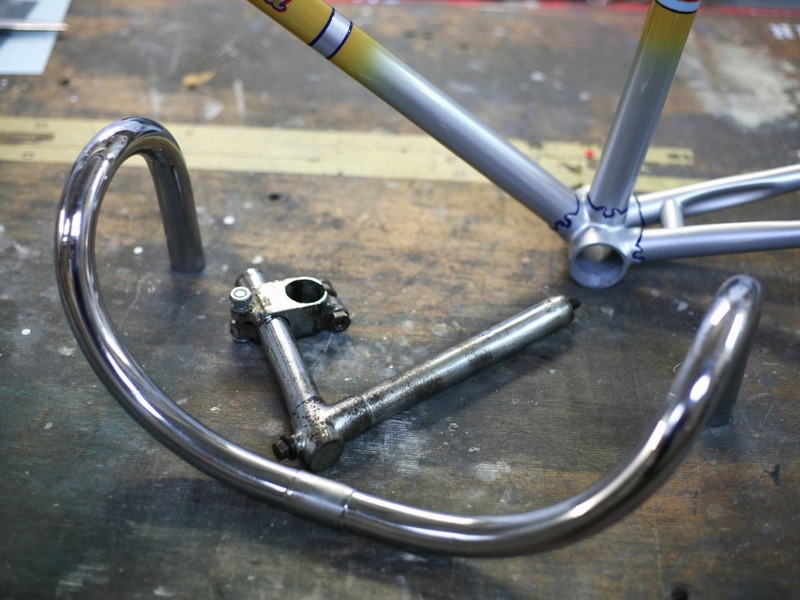 Restoration of a Erich Polauke “Polrad” track frame. 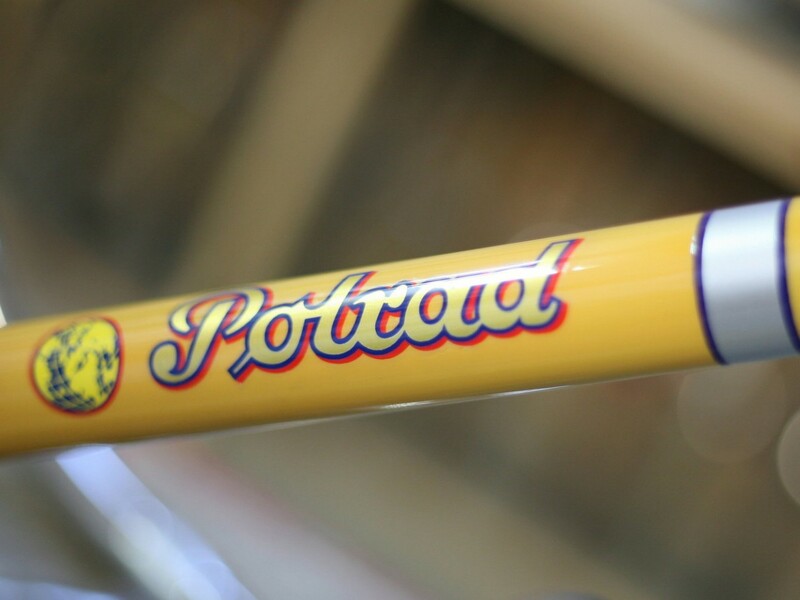 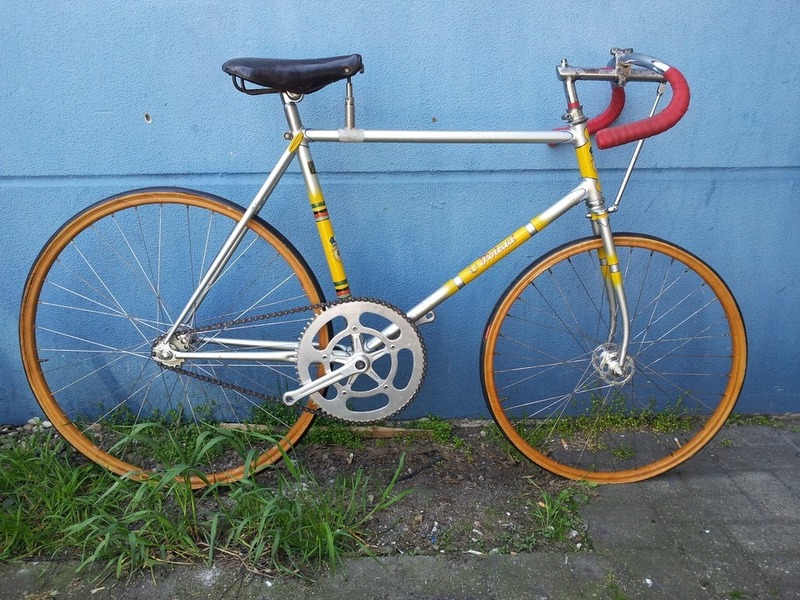 Mr. Polauke was one of the few Berlin frame builders after the war and run a bike store in Berlin Charlottenburg. 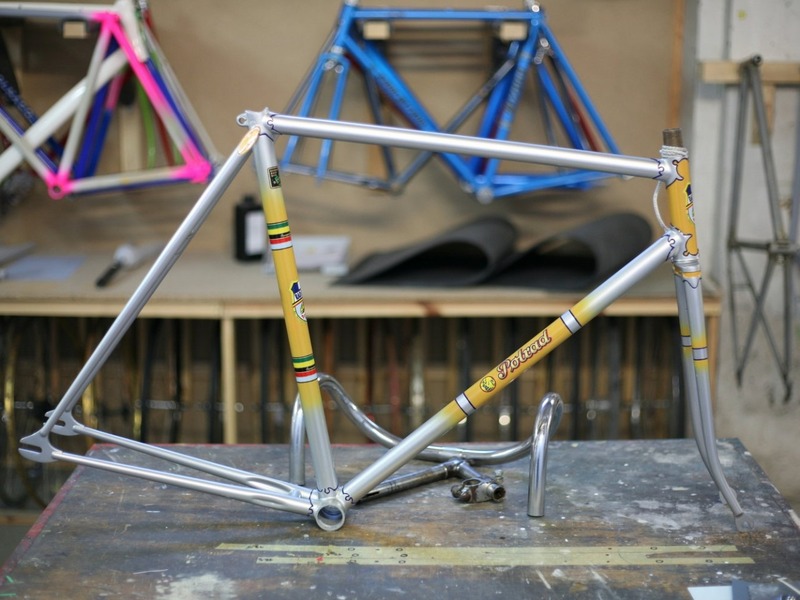 Due to a war injury, he had to build his frames with only one arm. 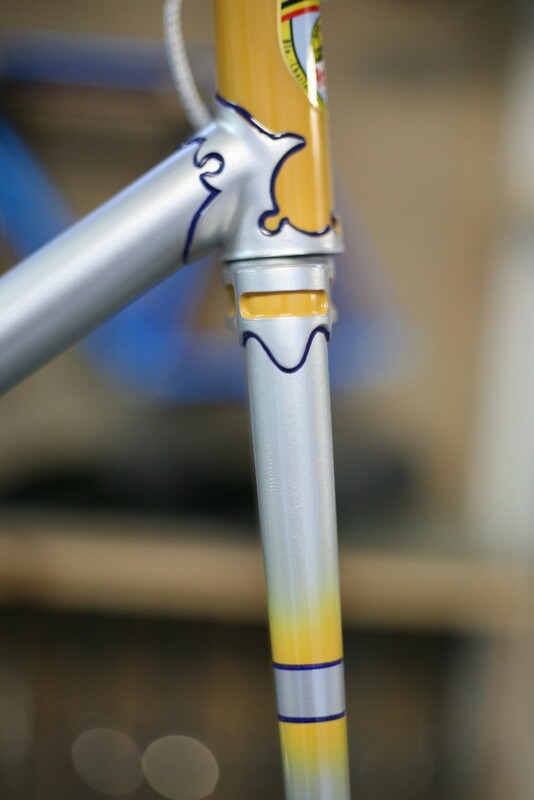 This track frame came to us without any of its original paint left on it. 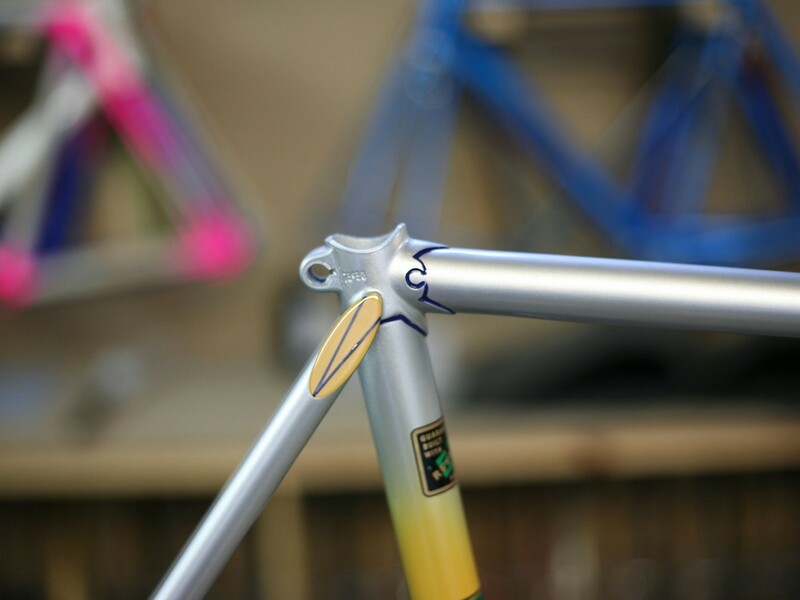 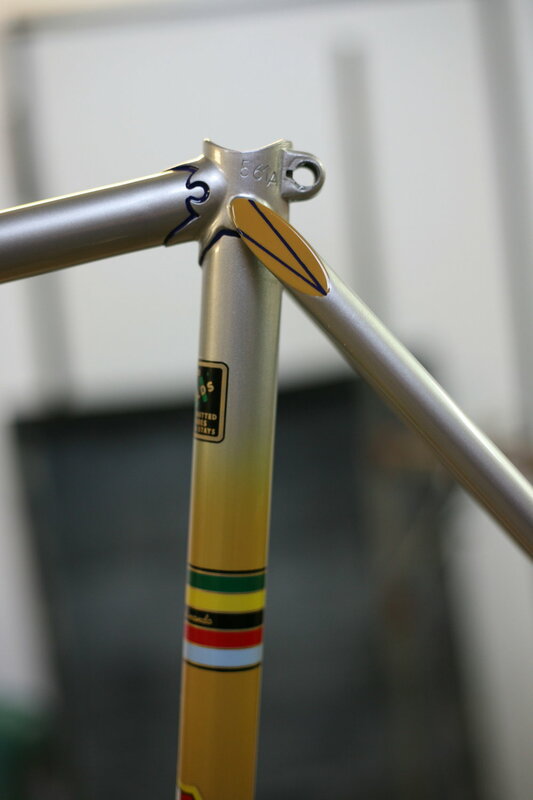 But we got the remains of a broken Polauke road bike from a Berliner collector that we used to match the paint and to build templates for the transfers. 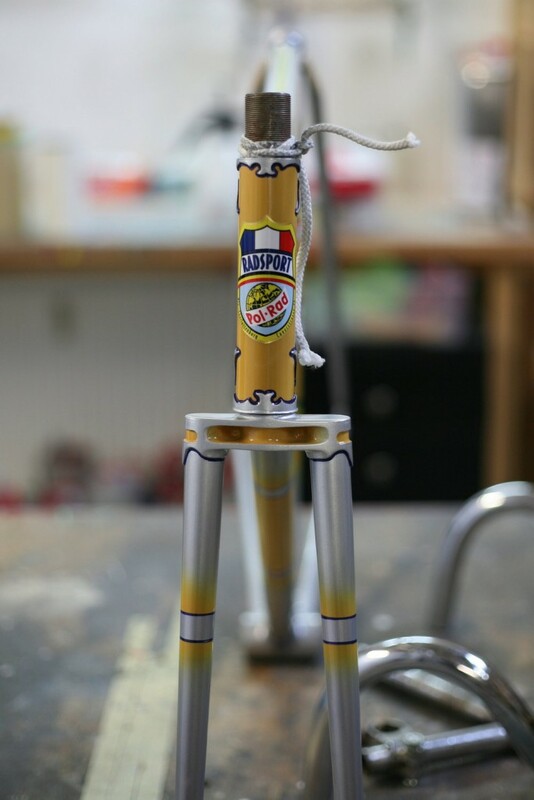 This was a big help.